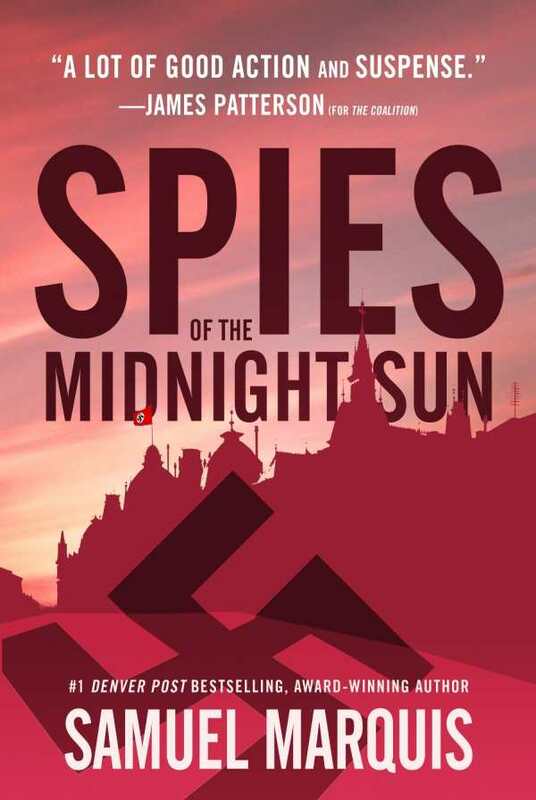 Spies of the Midnight Sun is engaging historical fiction focused on the unsung heroes of the Allied resistance. Samuel Marquis’s Spies of the Midnight Sun weaves historical truth with masterful storytelling in an action-packed and intriguing tale of covert spy operations during World War II. Eddie is a man with a taste for riskiness, and the criminal background to prove it. In the precarious position of being a double agent against the Germans during World War II, Eddie must navigate military missions, precarious relationships with his handlers, and a surprising love interest in Dagmar. Dagmar works against the Germans for the underground Norwegian resistance; together, she and Eddie provide invaluable information to the Allies. Meanwhile, Annemarie is also working for the resistance, freeing prisoners via a complicated and scandalous friendship with Nazi Lieutenant Siegfried Fehmer. The pairs make their way around Nazi-occupied Norway, dodging danger and fighting Hitler’s reign. The novel is lush with imagery and history; Norway, Germany, and England are described in detail, and with attention to architecture. The psychology of locations and buildings is also explored; the looming towers of the Nazis’ interrogation center fill the mind with thoughts of torture, while the cafe where resistance operatives meet sparks both excitement and paranoia. Chapters open with locations, months, and years, making it easy to keep track of scene switches, seasons, and the passage of time. Main characters are deeply developed, each struggling with their changing perceptions of right and wrong during wartime, as well as believable personal flaws. Characters’ actions and beliefs are sympathetically explored through plentiful inner monologues. Eddie is followed more closely than others. Much of the novel focuses on Eddie and Dagmar’s relationship; it initially seems rushed, but their whirlwind romance is filled with chemistry and uncertainty. Still, set amid military missions, their relationship stalls the plot. Annemarie and Siegfried’s relationship is intriguing and complex, playing on issues of morality and attraction, though many of the scenes between them are repetitive and predictable, and their scenes come to feel like part of a different story entirely. Side characters are physically described and brought to life through concise backgrounds, even if they are only briefly included in the story. German and Norwegian words, as well as British colloquialisms, help to establish characters’ voices and are culturally authentic. Compelling period details, such as about Norway’s “Ice Front,” are built into the story to explore little-known facts about how people coped during wartime. Eddie’s military missions drive the narrative forward. The fictionalized portion of the novel ends abruptly, though, with aspects of the plot left unresolved; brief histories of the people whom the characters are based on help to finalize their stories.